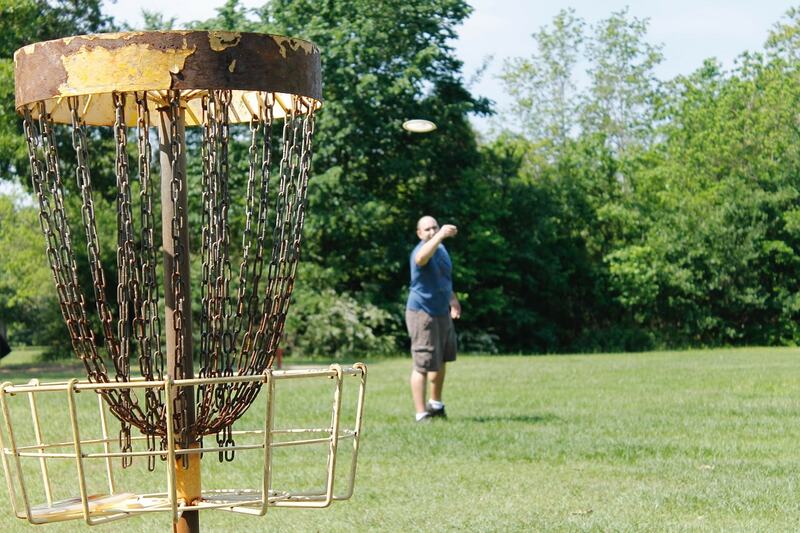 Although it’s based on a classic, disc golf is actually a relatively new sport. If you’re interested to know what it is, or want to learn how to play, keep reading! 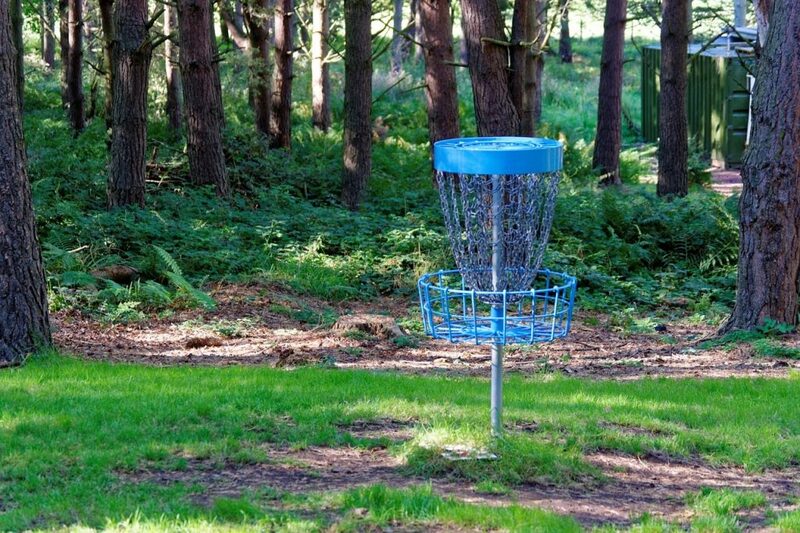 In this guide, we’ll show you everything you need to know as a disc golf beginner. As you might expect, disc golf is quite similar to normal golf in many respects. The game is played in turns, and the person with the fewest overall throws wins. It’s even played on proper 9/18-hole courses, and much of the terminology is the same (par, putt, drive etc). However, in disc golf there’s no hole to throw your disc into. Instead, you aim for a special basket which stands about 1.5m off the ground. 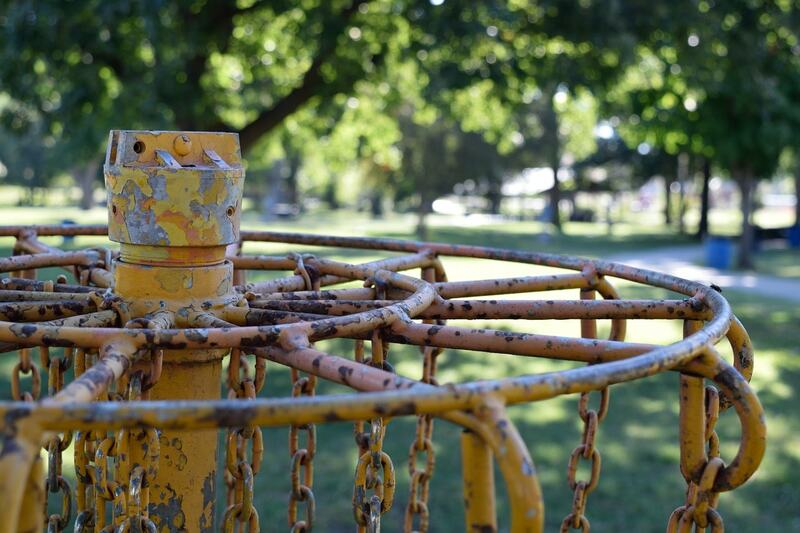 These baskets have vertical chains – when your disc hits them, it’s supposed to fall into the basket below. Sometimes it doesn’t though – this is called a blow-through (when the disc goes through the chains) or a spit out (when the disc bounces back off the chains). Putters, which are used for short-range shots. They’re designed to fly straight and true. Mid-range discs, which are used for the second or third shot in your round. They can fly for a longer distance than putters. Drivers, which are designed for long-range shots. They have a sharp edge for cutting through the air, but aren’t super accurate. If your shot goes out of bounds, you must continue playing from near to where the disc went out. You will also have a penalty shot added to your score. Players decide the order in which they’ll throw by flipping discs or drawing straws. Each competitor then throws their disc from the tee-off point. When the disc lands, it’s left in place. The person the furthest away from the basket after everyone has thrown throws next. This continues for the rest of the round (the person furthest away will throw their disc first). Where the disc lands is called the lie. This spot may be marked with another mini disc if necessary. The player may swap the disc they’re using in between throws, but must throw from behind the lie. If the disc lands in a tree or bush, the player must throw from as close to the landing spot as possible. After everyone has putted their disc, the scores are tallied up and the next hole begins. Whoever has the lowest point total will begin the next round. If two or more players are on an equal number of points, they will throw in the same order they did at the beginning of hole one. Like in real golf, disc golf has doglegs on some courses that must be passed. These points are normally marked with a pole or a sign. Wondering how you can get started with disc golf? First things first, you’ll have to find somewhere to play. If you’re looking for a proper course, the PDGA has a map which shows the location of every accredited course in the USA. Alternatively, you can set up a few baskets at the local park or in your yard, if you’ve got enough room. Allow for plenty of space, and try to set up the course with some obstacles on the fairway (like trees, bushes, and hills) if you can! Unlike in proper golf, in disc golf you have a lot of freedom in choosing how to throw your disc. The most common technique is the backhand. It’s much like throwing a regular frisbee: you bring the disc across your body from left to right (for right-handers). You can also throw with a forehand technique, but this can prove quite difficult for new players. First, grip the disc fairly tight to avoid it slipping out of your hand. Your four fingers should support it on the bottom edge, and your thumb should hold it at the top. Keep your thumb about two inches in from the top edge. Take a few steps back from the marker. Use this space to do a short run-up. Before your leading foot (normally your weak foot) lands on the lie, bring your arm back and to the left of your body (for right-handers). Keep your body stable: make sure you’ve got a good footing on the grass. As you take your final step, swing your arm forward and twist your hips in the direction of the throw. Your elbow should bend as it comes across your body, and straighten as you release the disc. Ensure that the disc is level to the ground as you let it go. Follow through, and have your arm come across to the other side of your body. This ensures that the disc retains its pace. The timing is what makes it so hard to throw accurately. To get the disc where you want it, you’ll need to release it at exactly the right moment. Practice makes perfect, which is why having a basket in your yard is a great idea. Obviously, you don’t need to throw putts as fast as you’d throw drives. Prioritize accuracy, and throw the disc fairly softly. Make sure to look at the basket as you release the frisbee – more often than not, it’ll go in the direction you’re focused on. In this part, we’ll discuss some slightly more advanced strategies and tactics you might see on the disc golf course. If your main rival is winning and/or makes a really nice tee-off, it’s worth playing a riskier shot to try and claw back some points. However, if they make a bad shot (or you’re winning), most players will throw pretty conservatively to ensure they don’t end up out of bounds. When around 40-50′ away from the basket, most players will lay-up, meaning they’ll throw the disc in front of the basket rather than going for the direct putt. Of course, once you get more confident in your abilities, you’ll be able to go for longer range putts. Unless you’re in desperate need of a few points in the last few rounds though, it’s generally not worth it. Using spin, it’s possible to hook your disc around certain obstacles on the course in order to save a shot. For example, you can use curve to avoid trees that block your line of sight to the target. Be sure to practice this in training first though! Generally, competitors won’t throw their discs as hard as they absolutely can. Instead, they’ll use around 70-80% power for long drives. This is because you’re likely to lose a lot of accuracy (and may injure yourself) if you throw at full power. Drop us a comment if you have any further questions about the fundamentals of disc golf.